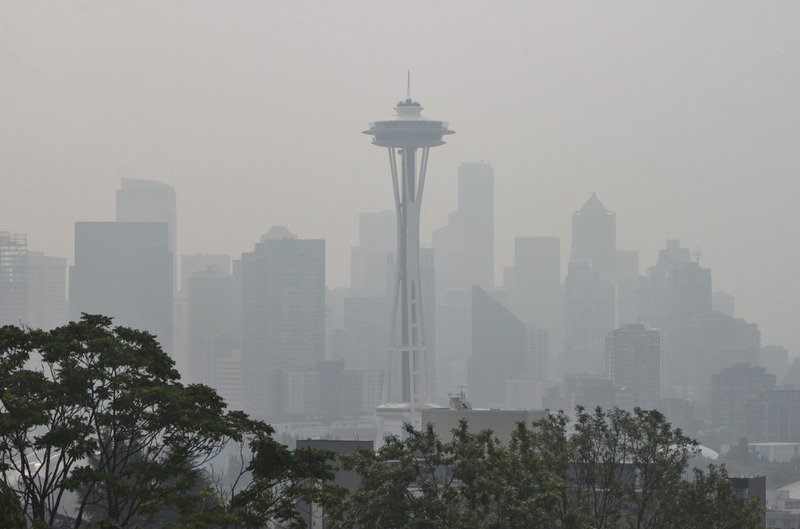 If you care about the environment, if you worry about global warming, and if this summer's smoke is of concern, you should vote against Washington State Initiative 1631. If you are like me, you are worried about the impacts of increasing CO2 in the atmosphere. Our climate models are emphatic that rising levels of greenhouse gases will warm our planet substantially during this century. Here in the Pacific Northwest, our snowpack will decline and sea level will rise on the southern portion of our Pacific coastal zone. And if you are like me, you found summer smoke two years in a row disturbing and worry that it will become an annual affair. And perhaps you worry about the state of our waterways, the pollution of our Sound, or the decline of our signature Orcas. So do I. You want to do something to address our environment challenges. You want action now, not later. I do too. But if you care for the environment and if you want to see our nation take real steps to address global warming, you should vote no on I-1631, the Washington State carbon fee initiative. As I will describe below, I-1631 is a flawed, ineffective, and highly partisan initiative that does little to deal with increasing greenhouse gases. An initiative that will line the pockets of special interest groups, do economic damage to our poorest citizens, and stand in the way of far more effective approaches. And its proponents have been less than honest about the nature of this ballot measure. So why should you vote NO on this initiative? 1. 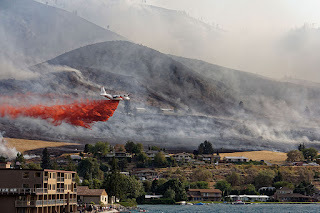 Restore our east-side forests to a more natural state to prevent catastrophic fires. Talk to the experts at the UW School of Environmental and Forest Science, the USFA Forest Service, or the Washington Department of Natural Resources (I have). They know what needs to be done: thin our overgrown east-side forests, pull out the slash and junk that has accumulated over nearly a century of fire suppression, and allow light, prescribed fires to clean out the remaining debris. Restore the east-side forests to theier natural state. To do so would cost hundreds of millions or billions of dollars, but it isn't being done because of a lack of funds and a lack of priority of our political leadership. This initiative should have explicitly directed hundreds of millions of dollars into fixing our east-side forests and reducing the big fires and smoke. But it doesn't. And a forest-restoration effort could employ thousands of Washington State citizens and help stabilize our forest industry. 2. Rapidly Expand Rail Service in the Puget Sound Region. The Puget Sound region desperately needs a massive increase in rail service, which could get folks out of their cars and reduce greenhouse gas emissions. The small portion of the light rail system that is complete is packed much of the time. But the current plans are for completion of the system in the early 2040s. That is ridiculous, and the reason for the delay is lack of money. Imagine if part of the carbon fee/tax was dedicated to light rail, with a commitment to speed up the system so that it is finished 10-15 years faster. The project would be cheaper to build and there would be a large reduction of fossil fuel emission. And a lot more construction jobs now. But 1631 does nothing on this. 3. Create the water storage system that will address the loss of mountain snowpack and greater evaporation from a warming climate. I do regional climate simulations as part of my research. Global warming will warm our region and substantially reduce our mountain snowpack. So there will be less snowmelt during summer and early fall to supply water for our farms and human consumption. But our annual rainfall will be fine, and even increase. The answer is clear: we need to build more reservoir capacity around the state to capture the winter water. And we need to improve our water delivery systems and encourage more efficient irrigation approaches (e.g., drip irrigation). There is great interest among the agricultural interests in eastern Washington for such an improved system of water storage, including a proposed 4 billion dollar Yakima Basin Integrated Water Plan. But the money is not there for it, and a carbon tax/fee could help supply it. No mention of this in 1631. 4. 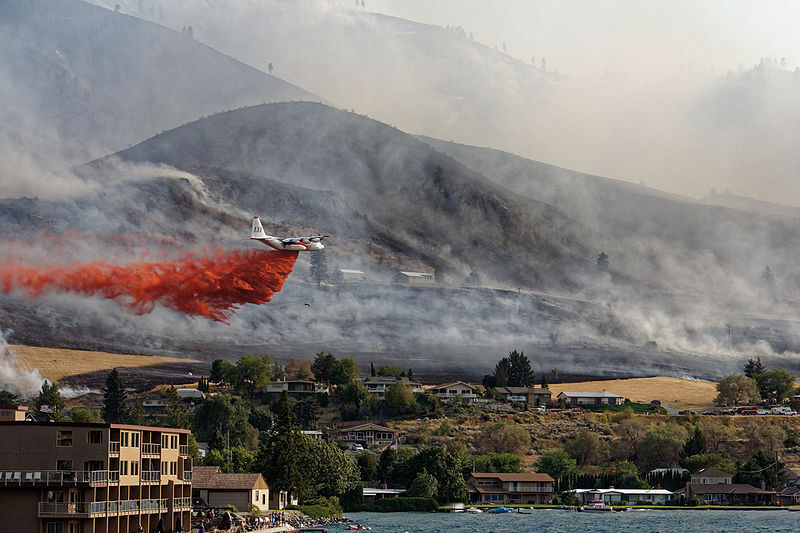 I-1631 provides no investments in scientific research for determining the impacts of climate change on our region. Research on the local implications of climate change and their impacts have been undermined by a lack of State support. One needs the best estimates of the future to make good decisions on what to do to adapt and be resilient to climate change. I-1631 ignores this critical requirement. And more funding is needed to maintain the climate observations stations in our state. I could give you more examples of acutely needed climate resilience and carbon-emission reducing projects that desperately need funding. But you will not see any of them mentioned explicitly in I-1631. Instead of explicitly dedicating carbon fee funding to important climate-related needs, I-1631 hands the responsibility of distributing the cash to a 15-member oversight board including five WA state department heads and 10 appointed (by the Governor) individuals. Only one (the Commissioner of Public Lands) is elected. And to add to the bureaucracy, there are three additional advisory boards. These individuals are not accountable to anyone and they have no explicit plan to work with, other than seventy percent of the fee must be used for the "clean air and clean energy investments" and twenty five percent for the "clean water and healthy forests". The Sound Transit debacle shows the dangers of ineffective and wasteful spending by such public boards. But it is worse than that. Much worse. The initiative hardwires money to certain special interest groups--the left-leaning supporters of the measure. A minimum of ten percent of the money goes to Indian tribes, who are exempted from paying any carbon fee by the initiative. Labor advocates got a fifty million dollar fund, replenished annually, for worker support programs. And to provide funding to the social action groups pushing the initiative, 35% of the money goes to "pollution and health action areas" of minority and "vulnerable populations." There is more, but you get the message. 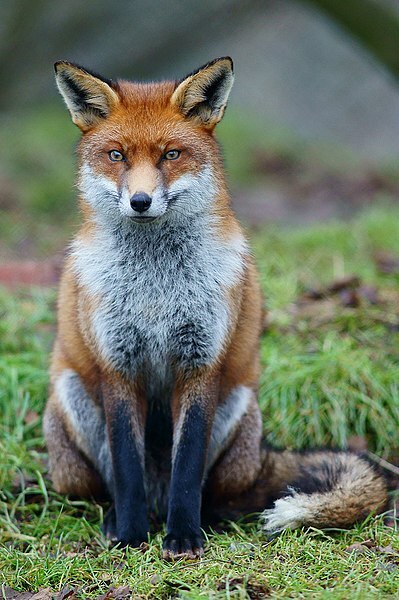 Clever as a fox. I-1631 will be a trough of billions of dollars of cash for left-leaning social action and "progressive" groups, and dealing with climate change will be a secondary priority. How can you know this for sure? Easy. 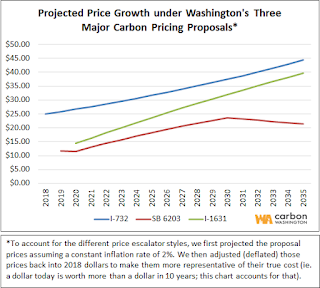 The same groups that are pushing I-1631 opposed the revenue-neutral carbon tax initiative (I-732) in 2016, which was much more aggressive in reducing carbon initiatives. Why did they oppose it? Because their groups did not get the money. I suspect that the vast majority of I-1631 supporters have not read the 38 pages of the initiative. If they did, they would be aghast of what they found. 2. Reason Two I-1631, is a highly partisan effort that will not serve as an example to the nation. Washington State is a relatively green state, with much of our energy coming from hydropower. We represent a very small portion of the U.S.. The only way we can have a significant impact on global warming is by passing measures that have a real chance of being adopted across the U.S. I-732, the 2016 carbon tax initiative, was such a measure; one that was revenue neutral (returned all the carbon tax to Washington citizens) and had bipartisan support. Major national Republican leaders are now supporting a revenue neutral carbon tax, and a well-designed version in our state could be an example for the nation. Unfortunately, I-1631 takes a completely partisan approach. A group of left-leaning social action and environmental groups, big labor, and native American tribes wrote I-1631, without any moderate or conservative support. 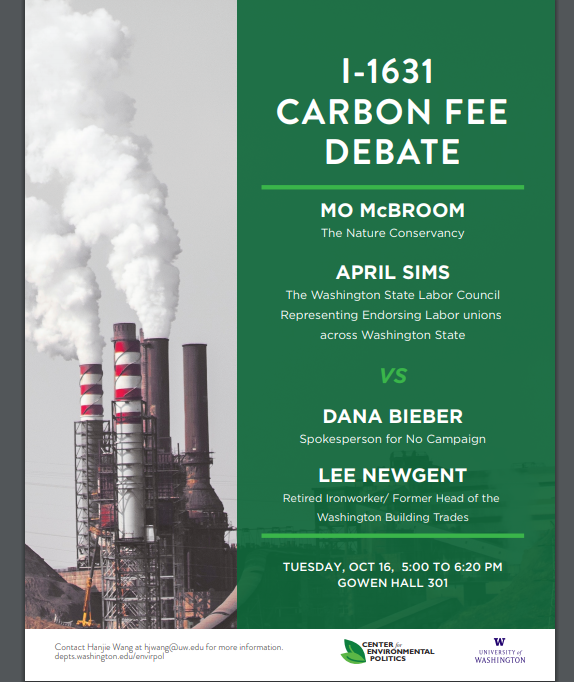 I-1631 creates a carbon fee whose proceeds would be distributed by a committee appointed by our Democratic governor, with substantial portions of the money hardwired to left-leaning groups. There is absolutely no chance that I-1631, with its "progressive" and "social action" agenda, can serve as a model to the nation, something made obvious by looking at a political map based on the last election (see below). Most of the counties in the U.S. are red (voted for Trump), not blue. The left-leaning, social action approach of I-1631 will never have much impact on the greenhouse gas emissions of most of the U.S. 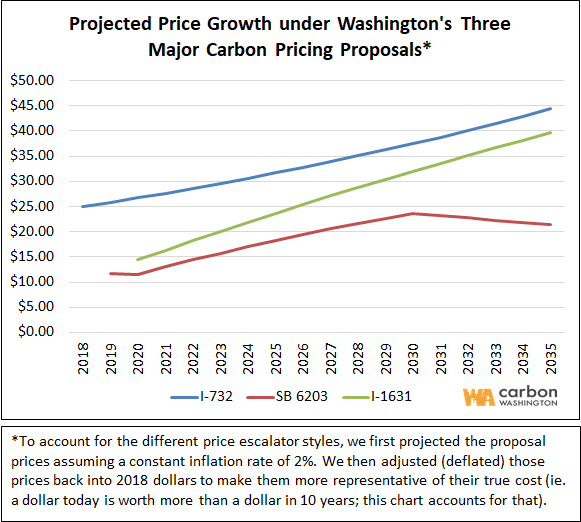 The initial carbon fee of I-1631 is about half that I-732 would have initiated, and a number of analyses have shown that I-1631 would result in gas prices going up about 14 cents a gallon the first year. This is too small to have a significant impact on fuel usage by consumers, since gas prices go up and down far more than that due to market volatility. A revenue neutral carbon tax can increase the gas tax much more without consumer rebellion and damage to our economy. Why? Because consumers get all the funds back. The bottom line of the above is that I-1631 will not only be ineffective in reducing carbon emissions over our state, but there is no explicit and coherent plan to direct the funds to acutely needed climate-related projects. But there is something else. The activists pushing I-1631 been extraordinarily deceptive in their claims and messaging. And if they are deceptive about the initiative, can you trust them later to spend billions of dollars wisely? The advocates of 1631 are making the claim that the oil companies will not pass on the carbon fee to consumer, so that prices of gasoline and heating fuels won't rise much, if at all. Don't believe me? It was on the front page of their web site (see below). A total fiction. The oil companies will pass on this fee to you, guaranteed (I checked some of their representatives to confirm this). And their claims are doubly ridiculous: the whole idea of a carbon fee is to substantially increase the price of gasoline or fuels, so that people move to more ecological alternatives. If the price stays the same or nearly the same, people will not change their ways and emissions will not decline. I-1631 False Claim 2: I-1631 Makes the Big Polluters Pay! Many of the advertisements and claims for 1631 state that the initiative will make "big polluters" pay. Unfortunately, that is not the case. 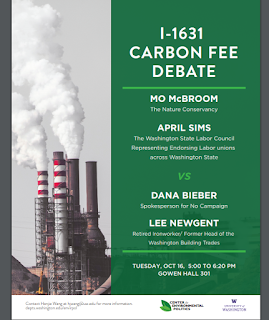 I-1631 specifically excludes many of the big carbon polluters (e.g., the Centralia coal power plant, pulp mills, the aviation industry, Boeing) and the oil companies will simply pass the carbon fee on to consumers. So big polluters won't pay, individuals and small businesses will. Now that would not be so bad if the carbon tax/fee was returned directly to the individuals and businesses (like I-732 did), but it is a big problem in I-1631, which keeps all the money. Importantly, I-1631 is a highly regressive fee, with the largest burden on the poorest people. We already have a very regressive tax structure; I-1631 makes it much worse. A number of major 1631 supporters are claiming that 1631 will end or address the wildfire/smoke issue. With no plan, it is hard to see how they can make this claim. Hundreds of millions of dollars are needed to fix this problem, with a program directed by our best forest scientists. I-1631 has no such plan and does not commit the large resources needed. Perhaps the biggest animating force of the I-1631 activists is their hate of "big oil", who they see as the puppetmaster of conservatives and the enemy of dealing with global warming. They claim that big oil obfuscated the threat of global warming for years, preventing action. And the funding of a big portion of the No on 1631 campaign by big oil is seen as confirmation of its evil intent. Really, the I-1631 folks see oil companies as some kind of powerful amalgam of Darth Vader, the Devil, and perhaps Donald Trump. I suspect the truth is more nuanced. If Big Oil was covering up global warming, they did a very bad job at it. The impact of CO2 has been talked about since the 80s and the estimates of the impacts have not really changed in thirty years. Global warming gets wide attention in the media, and if anything is hyped up and exaggerated. Greenhouse warming has been no secret. And if oil companies were trying to suppress competitors, they have been ineffective. The technologies of solar and wind energy have matured and spread widely. Energy conserving technologies like LED bulbs have exploded. Hybrid and electric car technologies have flourished. Most oil companies now publicly acknowledge the threat of anthropogenic global warming, and they did very little to block I-732--the environmental left did the heavy lifting to stop 732. Big oil has provided a high-quality product at a declining price (considering inflation) that is demanded by virtually everyone. Yes, even environmental activists, who often are big travelers. If their products were not demanded, they would go out of business, like others before them. To paraphrase Shakespeare: "the problem dear environmentalist is not in the oil companies, but in ourselves for demanding their product"
What should an environmentalist do? 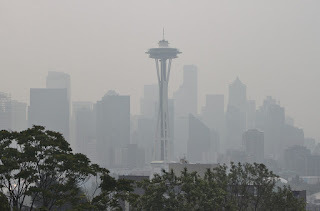 If you care about global warming and the Washington State environment, one cannot support this poorly designed initiative that will do little to reduce greenhouse gas emissions, will not serve as example to the nation, and which has no real plan to spend huge sums of money. Its passage will stand in the way of more effective approaches. 1. A bipartisan revenue-neutral carbon tax that will reduce our emissions and set the stage for a national carbon tax. A substantial carbon tax will encourage individuals and industries to emit less and to move to renewable technologies. It will encourage research and development of better energy technologies. 2. Or a carbon fee that directs the money to explicit projects, like mass transit, fixing the forests, and ensuring sufficient water supplies in the future. If you are uncertain about this initiative, please read through the text. I understand that a carbon fee with a price signal plus investments in renewable energy and environmental protections polls better than a revenue-neutral carbon tax. Ultimately, we need something that will generate enough public support to pass. It seems like a number of sensible investments in clean energy, energy efficiency, healthier forests and water management have been proposed for 1631, including things like: new wind, solar, geothermal and tidal electricity generation; energy efficiency upgrades for schools, colleges, libraries & other public buildings; construction of energy-efficient, affordable, modular homes; installation of LED street lights; assisting farmers in adopting regenerative no-till farming practices; replace high-emission buses in rural school districts, fund pollution-reducing technologies on dairy farms; expanding transit and funding the purchase of electric or hybrid diesel-electric buses; flood management, estuary rehabilitation, water storage projects to reduce the impact of droughts, forest management to reduce wildfires risks and expanding community forests. Given that it will be overseen by a 15-member board with broad-based expertise and ultimately by our elected state legislators, that there is plenty of accountability built in to the 1631 initiative. This seems like a wise next step for Washington state. The flexibility built in to the initiative allows it to adjust and adapt to achieve the best results over 15 years. While I do not dissent from your technical observations about I-1631, I am much more skeptical than you are that Republicans would ever adopt anything like the revenue-neutral I-732 carbon tax you prefer. Meanwhile, the perverse politics of the Republican party propels its politics ever more rightward, ever more toward denying any human influence over climate change. So I am afraid that your go-to refrain that we should get bipartisan solutions misses a fundamental, and deeply regrettable, fact about the Republican party. The Republican party has zero interest in long-term efforts for the public good. (b) In 30 states there is wall-to-wall Republican control of state government (Texas, Florida, Ohio, Wisconsin, Utah, Arizona, .....) In any of those states where Republicans have unfettered control of the political agenda, did ANY carbon tax proposal get made by Republican legislators and passed by those legislators and signed by their governor? No, that did not happen in any Republican-controlled state, despite their having unfettered governing power. (c) Oh, yes, I almost forgot. Not only 30 states, but also a nation- the U. S. A. -is under total Republican control. Senate, House, President, Courts. Yet, in the two years of this monopoly on power, did the Republicans ruling America implement any carbon tax? No. Quite to the contrary: What they did was to spend their political capital on a huge reduction in corporate and real-estate income taxes, entirely unfunded by compensating revenues from elsewhere. In the past, you have bemoaned the mean-spirited political atmosphere that you believe prevents Republicans from espousing 732-like legislation. You have treated Republicans like delicate flowers that need to be carefully incubated to thrive. Take away the left-wing meanness, and good things can happen. But the Republicans have thirty states, and one entire nation, under their total control, and yet what have they come up with when they have total control? Nada. So, like the good scientist that you are, you should consider the data and draw appropriate conclusions. I suspect the initiative will fail. The 1st part of your blog points out very well where the money should go. It appears, from your writing, that most of the money will not go there. The 2nd part hopes for consensus building between red & blue--in reality much of blue states are red, outside big urban areas. The right wing (as opposed to the left wing you refer to) has been, and is increasingly more so, anti-regulation and anti-tax and will support nothing that does not bring some multi- or trans-national corporation significant profits. According to what I've read, oil co. used the same tactics and people tobacco co. did to discredit climate scientists, obscuring science for decades. Elected leaders of the right wing at federal, state, and local level deny global climate change; Trump calls it a hoax. 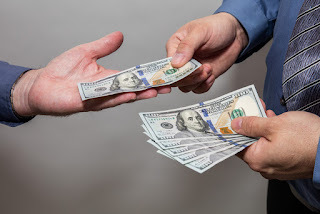 My neighbors repeat the right-wing radio argument that it is a hoax created by climate scientists to get more money to support their salaries and their research: "follow the money" they say. The more "moderate" right-wing leaders say there is global warming, but it is natural, or people may be contributing a small amount to it, but in any case there is nothing to be done about it. I was initially hostile to I-1631 for some of the reasons that Cliff points out. But it was an uncomfortable feeling, because we really must begin addressing our carbon emissions,and I-732 (a better initiative in my opinion) did not get the broad support it needed. I will admit to some bias: I was a part of the team that drafted I-732. I focused on making sure there were no loopholes by which coal-fired power could be recharacterized as something cleaner. I had pride in the final product. I worked hard for I-732. We got 41 percent of the vote. I was angry at "Big Green" for refusing to support I-732, and I approached I-1631 with a bit of bitterness. I told the drafters that if they included a coal exemption, that was a deal-killer for me. 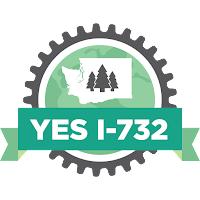 I was convinced to support I-1631 when I read the evaluation of it published by CarbonWA, the sponsors of the revenue-neutral I-732. That evaluation showed that the mandated investments in clean energy would produce meaningful savings over time. The coal exemptions would actually cause emissions to rise for a few years, but once they end, in 2025, emissions would actually drop faster under I-1631, with it's "tax and invest" strategy than under a revenue-neutral approach. If I-1631 fails, it will be at least two, more likely four years before we can try again. By then, the coal exemptions will be irrelevant, as the "closure agreements" will be at their effective dates. So I will vote yes. Is it perfect? No, absolutely not. Is it superior to I-732? Overall I think the answer is no, but the "invest" part, unless the advisory bodies and oversight board are corrupt and evil, will be very valuable. Cliff: I think you did the right analysis, but ended up with the wrong answer. We cannot wait another 2-4 years before beginning to take concrete action. The fact of the matter is, we tried a revenue-neutral tax -- which I too would prefer -- but it failed because it lost support from the left and failed to gain any support from the right. I don't know what makes you think that it would be any different in the future -- the GOP simply isn't interested in any taxation, period, and will fight it tooth and nail. They have demonstrated time and time again that they are not viable bargaining partners and do not act in good faith. The fact that you think otherwise is woefully naive. Serving as an example to the nation is an utterly pointless goal. I assure you the Republicans in Congress don't care one bit about what we do on the coast, and demonize any environmental program, revenue-neutral or not. Regarding Big Oil, if you think that they haven't been effective at sowing doubt about something that is completely cut-and-dried, you need to get out of your bubble more. Majorities of Republicans believe that climate change has not started, and if it has, a majority think that humans have not contributed to it. The President refers to it as a "hoax". It should, in any reasonable society, be a huge, existential threat, and yet it's not, and that's entirely through the work of the oil and gas industries. Again, if you can't see this, you're incredible naive. Furthermore, the bulk of your article doesn't even speak to your title. Fundamentally: if you're concerned about climate change, *take what wins you can get*. Doing nothing because you're holding out for your perfect solution puts you, as a practical matter, in the exact same voting block as every climate change denier out there. Additionally, I feel like you're being intellectually dishonest in a few places. The Centralia coal power plant, for example, does have an exemption -- but that's because it's going away anyways! It's halving its coal output in 2020, and shutting its coal burners down entirely in 2025. But you didn't mention that. Pulp mills are also exempt, but they generally burn wood waste, but then replant so are largely carbon-neutral. You've long found any opportunity to downplay the effects of climate change, and this article is just another step down that disappointing path. Wow, look at the amazing verbiage these kinds of posts always generate, replete with jeremiads against the evil oil companies and Republicans - it never fails. And these same folks wonder aloud why no compromise can be reached; after all, they're morally right and anyone who disagrees is a poor, uneducated redneck. Worst persuasive argumentation ever, yet still they persist. But keep on plucking that chicken, this time you'll convince everyone, no doubt about it. Everyone reading this stuff should be careful.. (with their votes) more taxes doesn't mean more solutions. Those people (politicians) are more than happy to tax us for whatever we're willing to pay extra for. Then pocket as much money as they can get away with. All new taxes should come with spending plans. This is crazy. Heres a couple billion bucks. Spend it well .. haha total waste. Only the lobying groups will get cuts of money, and they're the least effective at actually making changes.. because they don't want to hurt their funding sources. "While I do not dissent from your technical observations about I-1631, I am much more skeptical than you are that Republicans would ever adopt anything like the revenue-neutral I-732 carbon tax you prefer. " Is bang on, well substantiated by the Republican parties long running historical record, now lit on fire with napalm since the election of Trump. If you really want to delay once again or perhaps kill entirely the implementation of a carbon tax - something so well proven around the world as effective no matter what the structure at little risk to any economy - then i suppose you should vote no. Get it passed, then fight to make it more equitable. The Tax structure can be changed to help marginalized Forestry workers or any number of not exactly "liberal" types, and rest assured if in fact the smoke-apocalypse continues, it most certainly will require a significant funding stream in response, which this ballot initiative has that potential to fill. Stop procrastinating over the details. Just do what you should have done decades ago. Please reconsider your conclusion, Cliff, for the reasons other writers have outlined more eloquently than I could. We have to start somewhere and we have to start now. The environment can not afford to wait any longer. Pass 1631, stay engaged to have a say in where the funds are spent, and build on this as a start. Nothing is being done on the national level so it falls to the states to take on this responsibility. We are out of time to search for the elusive grand solution. I've lived on or near the shores of Puget Sound all my 66 years. The fabric of this environment is coming apart one species, one plant, one glacier at a time and the unraveling is gaining momentum. We've had four decades to address this and no meaningful steps have been taken. Act now to start addressing this. Your map of how we vote has no regard for population density. Please remove this propaganda if you truly wish to remain non-partisan. 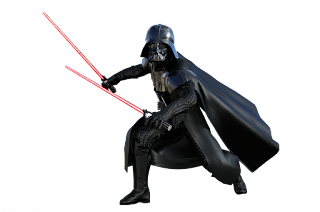 A reminder to all readers: this is a blog post with no scientific citation. If you live in the same world I do, you know Republicans do not believe action is required on climate change. Read the initiative and make a decision yourself. First, Steve's statement is accurate, as anyone who's been paying attention can see. If you disagree, can you point to places where the GOP compromised in good faith? Where they're supportive of environmental regulations? Where they support a tax on carbon, even a revenue-neutral one? Pointing this out isn't "saying Republicans are no good" -- that's putting words in Steve's mouth -- it's just pointing out *their actual actions and voting records*. If you're looking for destructive behavior, you should look at what happens when you reject carbon taxes because of the ridiculous hope that a better plan is going to materialize that the GOP going to actually support. Cliff is right about this. Pulling out the evil "Republican" voodoo doll (as Holmes and others above have done) does no one any good and actually makes it less likely that acceptable solutions will be found. Also pleading that we "do something, anything" is emotionally misguided. We need to do something that has more positives than negatives and that is effective and also that both sides of the aisle can get behind. Bills like this really for now....at best..represent the glimmer of a possibility to entertain the willingness to have the discussion. It does not mean the discussion will be heartfelt, meaningful or productive. There are still too many challenges for any bill like this to pass, however. First off, the Baby Boomers have to retire, die or otherwise exit stage right, and allow those with different approaches a shot. Sorry Cliff. Those are your peeps, too. This is a problem of generation as much as a problem of hyper-partisanship. No other generation has amassed so much wealth nor succeeded so exceptionally at building financial "moats" to protect it. They do not want any interference with their loot or the transference of it to their offspring. There goal was to get rich, stay rich and assure their kids, the Millennials, perhaps have a shot at creating a pseudo-aristocracy of enduring entitlement in the USA. Washington DC has their back, thanks to very intelligent manipulation of legislation, as well as lobbying. As far as the Environment, the Boomer goal perhaps was to save the world at one time, but now they just want to play golf and hang on to power indefinitely. As long as they are in charge, expect their definition of the "American Dream" and its system of rent seeking to endure. Gas guzzling cars, big houses with water hogging expanses of lawn...etc. Oh and by the way Gen X...you are going to be skipped over. Welcome to indefinite middle management as the new boss is none other than the old boss's kid. Plus, Americans in general hate taxes, love their guns and do not want the .gov telling them what to do. Most ALL of the country, other than large urban cores, are deep red conservative bastions that keep their guns and bibles at the ready. Most of Washington State, is deep red. This bill when looked at on a state-wide means, has no chance as it is too Seattle-centric to suggest taxes for mass transit and water reservoirs for urban areas be levied on someone in Cle Elum. It probably won't have a chance for at least another 8-16 years, when of course it will fall into the realm of the reactive instead of proactive. In adversity however there is opportunity and nothing gets done in the USA unless there is a solid chance to make a pile of money off of it. THAT is the only way things get done. GET PAST all that, along with Americans rediscovering what it means to be civic minded and this bill or a better version of it will pass. Guys like you, Cliff, should be using your bully pulpit to shout, as convincingly as you are able, echoing the urgency of the recent IPCC report, EMERGENCY! EMERGENCY! So much is at stake. It is likely that ten thousand years of human progress, a hundred thousand years of progress, and all the incredible products of human cleverness, compassion, genius, creativity, and possibility will succumb to our inability to act NOW, as we should have acted years ago, to prevent the climate system of Earth from erasing all the good humans are capable of achieving. The fate we're facing is tragic. The shared passion to avoid it is very sadly missing. You could contribute to the energy needed to turn things around. Flawed attempts, at this stage, are better than the inaction that is the most likely alternative, the inaction that would result from following the advice that you have given here. This is an EMERGENCY, Cliff. There's no mistake about it. Your great-grandchildren will be in pain over the shape of the world we' are handing them, and their children most likely will live in very frightening times. It could be all over. A “no” vote is exactly that. It means nothing changes until the next attempt at legislation and that the oil and coal industry wins and everyone else loses. While cliff’s alternatives seem reasonable, they would still rely on the same process that got us to I-1631. There is no other way to make change happen than to pass a flawed bill and then modify its implementation as we learn more. Insisting on perfection is the same as assuring failure. And equating tribes, unions and health advocates to pigs at the trough is something that cliff should really apologize for. The subsidies and liability exemptions that the oil, gas and coal industries have received for generations show us who the real pigs are that have been fattening themselves on the public feedlot. Cliff, Do you have any knowledge of what the state plans to do with exempt EITI parties? At some point, those industries need to chip in, too. Under i 1631, they are exempt from paying fees on fossil fuels and electricity sold to them. Most dismiss this as a small fraction of our emissions, and they certainly represent a strong fraction of our economy. I think the exemption is actually a selling point for national roll out of this carbon fee. As a country, we refuse to stymie economic growth for climate initiative. The list of EITI parties is here. 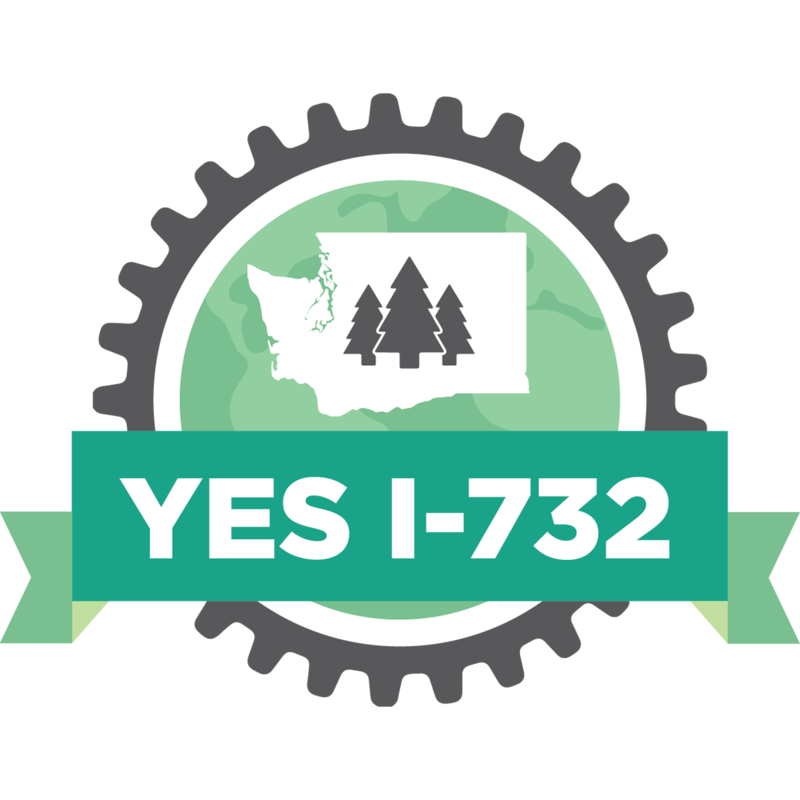 I'll be voting yes on I-1631. The rant about partisan politics falls flat when, literally in the same breath, the adjective 'left-leaning' and the tired old 'pigs at a trough' cliche are used. Little, if this initiative's impact is truly like you say, is better than nothing at all. The implication is the bill is full of pork barrel projects/spending. Politics 101. Also, the so called "perfect bill" might not be one that gets everything completely right on its mission. What makes this bill particularly flawed is the fact that it is too politically one sided and it can be easily killed just on partisan grounds. Republicans would not even have to make an attempt to read it or crunch numbers. All they would have to argue is that no one reached out to them from the opposition to discuss it. Thank you for your analysis Cliff and thank everybody for their posts. It's a good way to learn about this initiative and try to figure out how to vote. I have mixed feelings about your analysis Cliff. It seems like you are doing some cherry picking, but I do agree that the carbon tax should cost people at the pump in order to modify behavior. Also, people should get a tax credit for gas prices if they are poor. Having no plan for how this money will be spent is bizarre. Agree! Having the backers of the initiative collecting a percentage?? What?!! Is that for real? I'll have to do more research. Love the idea of money for mass transit!! Just a side note here: We would need *a lot* more rail to consider it a complete system for Seattle, let alone the Puget Sound region, by the time ST3 ends in the 2040s. It's difficult to call it complete when you completely miss places in Seattle like Belltown, Georgetown, Westwood Village, Greenwood, Lake City and only have a single station in Ballard. Outside Seattle there's South Center, Renton, White Center, Burien. If the streetcar doesn't happen, the only easy rail - ferry connections we'd have are Edmonds and Mukilteo, with limited Sounder/Amtrak service. This is many miles of rail we need, or at the very least real BRT (e.g., not slow Rapid Ride and not expressway buses masquerading as BRT). "I suspect that the vast majority of I-1631 supporters have not read the 38 pages of the initiative. If they did, they would be aghast of what they found." I read it. This is what I found that changed my mind from 'yes' to 'no'. Any attempt at redefining a new term (e.g. ; "coal closure facility")so that an exemption can be made smacks of BS. This is how we got to CLEAN COAL. Clearly, these polluters had a hand in drafting and lobbied for the appropriate concessions, for them. (ii) Is legally bound to cease operation by December 31, 2025. " As serious as climate change is, it makes little sense for a state to go-it-alone on a carbon tax, especially this late in the game. Even if Washington state were to eliminate all its carbon emissions (and this initiative most assuredly won't eliminate but a fraction of them), the march to a warmer world would not be slowed. And the idea that Washington will be setting an example for the rest of the country to follow is preposterously pretentious. This initiative is nothing more than a desperate "we have to do something" hail Mary pass led by a coalition of virtue signalers quite happy to raise taxes so they can feel good about themselves. My compliments to Cliff Mass for writing the blog and for approaching the taboo subject of Indian tribes involvement in the writing of the initiative. The word tribal is used about 27 times in the 38 pages and the word tribe is used 37 times. This is a group of people who do not have to pay a state gas tax. Cliff gave a link to the initiative text, and I hope everyone takes the time to read all 38 pages, then ask themselves, "who gets to decide who the "vulnerable population" is, that the money will be dispersed to?" A changing climate is happening, but I don't see how this initiative of collecting money, addresses a solution. I'm still torn. Cliff brings up (as usual) a most excellent analysis, however I do still have hesitations about fully killing off I-1631. Jim Lazar's comment above is excellent. All I really have to say at this point, is SHAME on the far left for killing I-732!! You people that lobbied so hard against that initiative, but call yourselves environmentalists, well, you're just as bad as any extreme tribalist group. We keep putting political details in front of action on real solutions, particularly those solutions that gain bi-partisan support. The polarization of this political system may actually be the primary killer in the end. On Sunday we learned that President Trump does not believe that man has caused climate change and thus there is nothing we should do about it. We also learned that Cliff Mass recommends a no vote on I-1631. Although Cliff Mass's position on I-1631 is not because he does not believe in the human causes of climate change or our need to take action, I am sure the President would (incorrectly) use Dr. Mass's position on I-1631 as justification for his own positions on climate change and for not taking action. This is an unfortunate reality of our current political situation. One argument in favor of voting yes on I-1631 is that it is the only climate change initiative we have in this election, and we need to act. We have been polluting the atmosphere with carbon for centuries without accounting for the cost of this pollution. We need to start paying a cost for carbon pollution. Although the initiative is not perfect and has many features we might not like, voting it down just extends our free use of the atmosphere as a waste dump for carbon. If we aren't willing to vote Yes now, when will we be willing to vote Yes? Can we get the legislature to act, or do we have to wait another two years for a different initiative? Between this and your pro-sun bias, you've lost a fan. 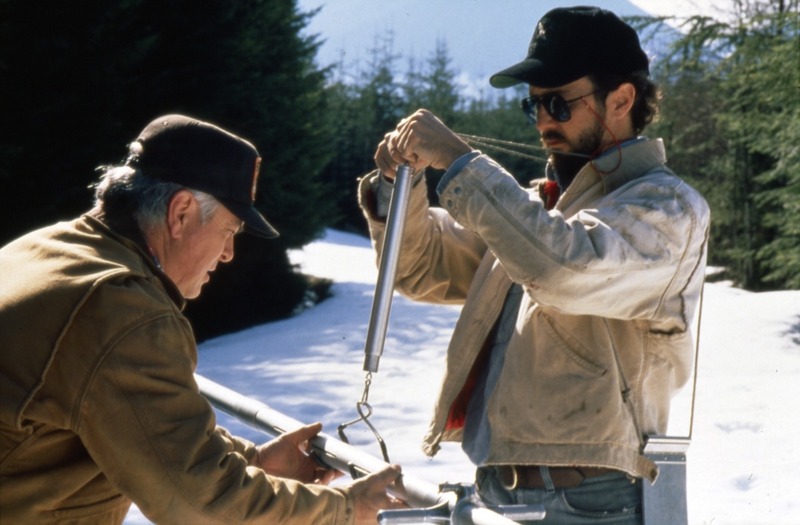 I applaud Cliff's defense of free markets when it comes to oil companies. Let's apply the same logic to the $4 billion Yakima Basin project. Taxpayers should not subsidize farming. Farms are businesses like any other. I agree with a lot of what you write but not all. You're right that I-1631 will probably not serve as a model policy for the rest of the country, but you're wrong to think this is a reason to vote against it. By wide margins, Americans of all political persuasions support renewable energy production and there are many places where pollution-funded renewable subsidies would pass the ballot box. But who cares anyway? If 1631 is a right fit for our state, then let's pass it! You fault 1631 for not explicitly committing to certain programs, a number of which you mention as important. Again, this is not a reason to vote against 1631, since all of these good ideas can still be funded by the board if they still look like the best uses of the money at the time. 1631 allows flexibility in how the funds are spent, which is something to be cheered, not jeered. Just because people are appointed doesn't mean they're not accountable. Everybody has a boss in this world. A lot of your other fault-finding with 1631 echos the far lefties' arguments against I-732 two years ago. They said "if you're for the environment you have to vote against 732 because 732 will make meaningful climate legislation harder to pass later." Hogwash! The undeniable message behind this argument is "the climate's really not all that important" and "fixing the climate can wait for something better." More hogwash! The truth is that we probably need both initiatives. And the longer we wait, the more expensive we'll have to make it for it to be effective. It's unfair for us now to drag our feet knowing that in doing so, we burden the future with our mistakes. Thanks for continuing to speak about the importance of climate action, and thanks again for your support two years ago of I-732. A lot of us are still getting over the defeat of that wise initiative, but we shouldn't self-inflict more damage to our climate out of spite for the far lefties who made such a bad mistake in doing exactly this two years ago. Unknown - agreed. And let's also tax everyone in Seattle and the surrounding suburbs, whose growth would never have occurred if not for the massive dam and resultant boom in cheap energy that was created, beginning in the 1930's. I tried to read the Explanatory Statement and the Complete Text of the Initiative in the voter's pamphlet. I agree with the lack of specificity of projects. In addition, the initiative is much too complex. Republicans will support the initiatives required to combat climate change, if they think their local communities will benefit in terms of good-paying jobs. That's why I'm such a staunch advocate of solar farms in places like Eastern Oregon, where they have the climatological means of running a highly profitable solar industry. "They are willing to sacrifice the good for the perfect." While I-1631 is indeed FAR from perfect, it is at minimum, a step towards some action on emissions. Even if this action isn't as meaningfully potent as we need, nor does it accomplish what we need in a revenue neutral & bipartisan manner, it still is "a step". "A step", is better than "No Step". Chris, I'm not sure how you think government works, but legislators don't "pocket" tax dollars like you imply. I would recommend you take a basic course in American Government to understand how this stuff works. Why exactly is it so important to tax carbon? As I understand it, CO2 has increased of late from .03% to .04% of the air, or thereabouts. Is it possible that an increase of CO2 to around .10% might result in a much better environment on our planet with much greater biodiversity? The bill says it would exempt aviation, maritime, and other unspecified intensive energy sector businesses. So I pay at the pump, yet those who fly on planes won’t? No tax on maritime fuels. Does this mean all those big container ships importing cheap crap from China to fill Target, Walmart and Fred Meyer shelves with mostly unnecessary junk, fabricated out of diminishing natural resources using, likely, slave labor, won’t pay their fair share? Sounds like pulp and paper mills are exempt? Should we still be converting forests to mono-crop tree farms to feed these extremely polluting industries? I too am skeptical that this fortune won’t go to special interests who have clearly captured the state. Look no further than the epic state support of the shellfish industry conversion of our native tidelands into large mono-crop, mostly non-native, shellfish farms. On top of allowing these in-water “farms” to displace native species, the state supports the use of pesticides directly sprayed into marine waters to rid these non-native shellfish companies of mostly NATIVE species that they consider Pests. Corporations, especially pesticide manufacturers, have clearly captured more than state government. The Nature Conservancy is on record for supporting pesticide use in marine waters against both native and non-native species. See 2011 State Noxious Weed Control Board testimony for spraying beloved eelgrasses with herbicides—TNC’s Lisa Younger spoke in support, saying that this was an “elegant” solution. I like your alternatives for how money should be invested, and would rather see an initiative more comprehensive/equitable in scope and one that more accurately defines the problem. The problem is too many people, consuming too many resources, with little to no regard for the Earth or other creatures. I hear the Vatican is all concerned about Climate Change. Still promoting large families? That must be an awkward position. Jim Lazar made his point, which I appreciate. Perhaps I’m too cynical, or a “purist” waiting for the right proposal. Years ago I submitted a proposal to Governor Inslee that would have reduced upwards of 1 million tons of the worst GHG’s annually, saved so much water my calculator couldn’t compute, saved the state upwards of $30M/year, saved the conversion of rainforest lands, and animal’s lives, and DID NOT require legislative approval. There are 17k inmates in state prisons per day with 4 diets, one of which is vegan. Drop the other 3 and start a discussion of agriculture’s impacts on humans and the planet. Inslee wouldn’t even entertain going to Meatless Monday. So here we are, with shared concern over Climate Change but little ability to support one another in how to stop it (at this point, I doubt we can). I don't hear any ideas coming from conservatives. All they need do is watch us fight among ourselves. What a conundrum. The October 2016 report to the Washington legislature regarding our state's greenhouse gas emissions breaks down which categories contribute the most emissions. The largest contributing sector is transportation, accounting for 42.8% of GHGs. The runner-up, contributing 22% of our GHGs, is the category comprised of residential/commercial/industrial. The third largest contributing sector is electricity at 19%. Initiative 1631 seeks to impose pollution fees on fossil fuels and electricity. The fees raised by this Initiative are supposed to reduce carbon pollution. We already have an example to use for verification of the efficacy of raising fees on carbon. Check out the impact of raising carbon fees in California, where transportation also tops the list for GHG emitters at 41%. 9 cents on the sales tax.) In 2019 California's cap-and-trade system for limiting greenhouse-gas emissions adds another 12 cents, according to several estimates. But it doesn't end there. Add the federal tax of 18.4 cents a gallon and Californian are paying 40%+ more in taxes and fees than the national average. Has the increase in gasoline prices caused a slump in the state's traffic volume, measured in vehicle miles traveled (VMT)? Nope. In 2018, VMT increased 0.7%. The only slump in VMT occurred when the economy stagnated from 2008 to 2014. Since 2014, however, GHGs have increased to 170 million tons in that state. Industrial GHGs have remained flat for quite a few years in California. So the financial squeeze has NOT reduced greenhouse gases emitted by the largest emitting sectors there. Why would that squeeze work here? Yeah, Cliff is right, we should wait a few years and write a new climate bill. Because if there's one thing that atmospheric scientists have been telling us, it is that there is plenty of time to stop climate change, no need to hurry. We are facing a literally existential climate crisis; if anyone doubted it prior to the recent IPCC analysis, which says we have only 10 years to solve it, there should be no doubt now among rational people. To understate it substantially, this is urgent and the stakes are beyond high. So although I shared your feelings about the lack of support for I-732 (the failed revenue neutral fee initiative), they pale in the face of the impending disaster of climate change. We must act now. To fail our children by maintaining the status quo is unconscionable, immoral, irrational. We do not have time for a perfect solution to take shape. After reading the Voters Guide, the Seattle Times, and this article by Cliff Mass, I don't know all the technical details, but I can tell you from 72 years of experience in watching enormous new government programs, I-1631 is a giant boondoggle waiting to happen. This is tremendously complicated and you think a board meeting twice a month can handle all the problems? Dream on. Does anyone remember WPPSS (see Wikipedia)? The second largest bond default in U.S. history ($2.25 billion in 1983 dollars). That was another enormous complicated public undertaking to build several nuclear power plants in Washington State with a mixed un-elected board of directors. Climate change is real and we must address it but this I-631 is folly. No loopholes? I'm sure it reads great in a book. Lobying, unchecked pay raises and bonuses. Happens all the time in the smaller governments. .
Why else would they make a tax with no where to spend the money? If they just would have said we're taxing the fuel to fund the schools ,or to pay to buy everyone an electric car. At least that would be something.. Thank you for the recommendation, but I really don't have an interest in government. Although I do wish we had more control of it. Very frustrating to watch.. how pollution and education aren't higher priority is baffling to me. facility and others like it is ultimately in the best interest of reducing global warming. I'm still undecided. I just read the entire initiative. I don't see anything about $50,000,000 for "labor advocates annually". Can you point me to that section of the initiative? I did see the health action areas, which just left me more confused. Do we have tribes that are struggling with rising sea levels? About the coal plant exemption for Centralia, that was done due to a previous agreement to shut down the coal plant. State law requires half of it to shut down in 2020, then the other half in 2025. That was done to protect and reeducate the workers in Centralia. Beautiful weather produces noisy mornings! The Son of Blob is Back! Do Wind Turbines Enhance Global Warming? No!